Home / Hair Extensions / Why is my hair wavy and how can I make it straight? Why is my hair wavy and how can I make it straight? Many people want their hair to be straight but don’t wish to use chemical or heat straighteners. Below are some of the reasons why your hair may be wavy and some of the alternative ways you can try at home to help make your hair straight. These are especially useful if you’re wearing micro loop hair extensions or pre bonded hair extensions. Why is My Hair Wavy? 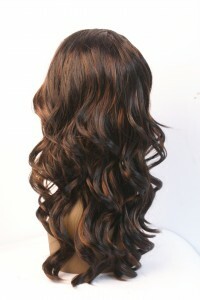 Below are some of the reasons why your hair could be wavy with solutions on how to change this. Solution: You should choose the right shampoo and hair care products that match your hair type. If your hair is dry and damaged, do not buy shampoo for shiny hair. Also, make sure to wash frequently but not more than once a day. Reasons Two: Sleeping when your hair is not fully dry. Solution: You must go to bed after the hair is completely dry. If it is too late at night for your hair dry naturally before you go to bed, you can blow it dry on a low temperature with a hair dryer before you sleep. Solution: Dying hair frequently can make your hair become very fragile, so it is better to dye your hair once every three months at the most. Are There Other Ways to Make My Hair go Back to Straight? 1. Brush your hair before you wash it. This can help to remove dirt from the hair surface and loosen the tangles. Develop a good habit of combing your hair every day. 3. When your hair is still wet, use a wide tooth comb to divide the hair into parts, and then gently comb up from the end until the knot completely lifted. Follow these methods and you should be on your way to getting that lovely straight hair you’ve always wanted.